Today I have an interview with Tara about the book and at the bottom of the post you can win some goodies, so make sure you keep scrolling! But first, let's learn more about the novel. Tara Sim: Interacting with the community, I think. I’ve made so many new, amazing friends since becoming an author. They’re the type of friends who really understand writing and books in a way my friends growing up never did. I also love the dedication and support of my readers! Tara Sim: Sometimes, yes. I work full time, and being an author is like having another full time job on top of that. I usually have to multitask at my day job by responding to author-y emails on my phone. When I have a deadline is when it gets craziest, and my social life completely dies, but when I’m not on deadline it’s a lot easier to take breaks and wind down. Tara Sim: Oh man, I can’t pick just one. Here are some of my favorite reads of 2016 so far: A Gathering of Shadows, This Savage Song, And I Darken, A Court of Mist and Fury, The Raven King, The Reader, A Shadow Bright and Burning, and The Abyss Surrounds Us (although technically I read it last year but shh). 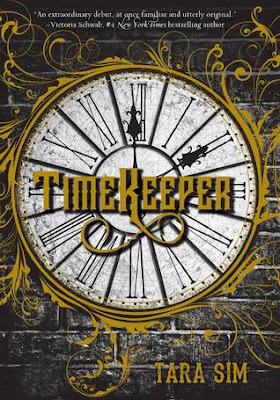 What do you hope readers take away from TIMEKEEPER? Tara Sim: I hope it brings some sort of magic into their lives. I’ve already had readers telling me it’s cured their reading slumps, which is pretty awesome, or that it’s made them feel good in some way. I hope it shows readers that no matter how bleak the world is, you can still find magic/love where you least expect it. 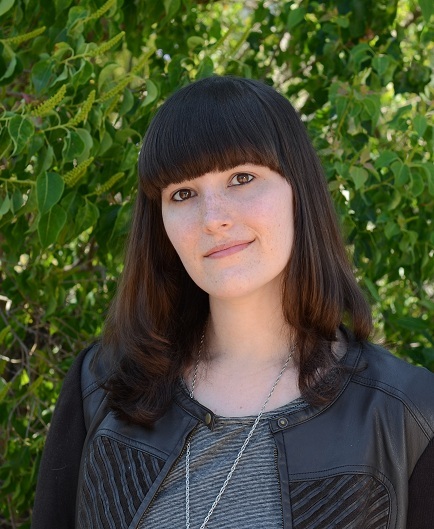 Why do you think it is so important to have openly gay characters in YA literature? Tara Sim: Representation matters. So many kids grow up not seeing themselves in books; I certainly never did. But seeing yourself in your favorite story changes your perspective of not only yourself, but the world around you. It shows you there’s a space for you here, and that you’re capable of doing wonderful things. In SFF, especially, there’s a lack of POC/LGBTQ+/disabled protagonists, which is something that needs to change. Can you tell us a bit about the mythology surrounding clock spirits: is it something you created or is it something you read about/researched? Tara Sim: It’s entirely my own invention. When I first thought of the idea for Timekeeper, I knew that clock towers would be magical, and I knew that there would be a group of people--clock mechanics--in charge of repairing them. Since I wanted this to be a strange love story, I wondered if a clock mechanic could fall for someone tied to a clock tower in some way, and then the idea of the clock spirits came to me. I then worked on how they fit into this world: who believed or didn’t believe in them, what they were capable of, etc. If you could travel through time, what time period would you want to end up in? Tara Sim: I would actually love to go to the 1920s. That time period has always fascinated me, and I think I could rock a flapper dress while drinking illegal moonshine. What was the best part about writing from Danny's perspective? Tara Sim: Danny has a very snarky sense of humor, which I loved weaving into his narrative. There are some lines that still make me laugh because he’s just 800% done with everything.